Okay, we’re just picking up right where left off a few days ago, shall we? Things did slow down a bit for Carmen after the birth of her son Rodrigo. Her first bit of excitement was helping her club deal with their vampire problem by seeking out specific plants in Midnight Hollow. Leaving Hugo in charge of the baby helped him prove to her that he was as mature as he claimed. And having that time with her friends gave her time to process everything that happened, and she got some great mom advice from Laurel. 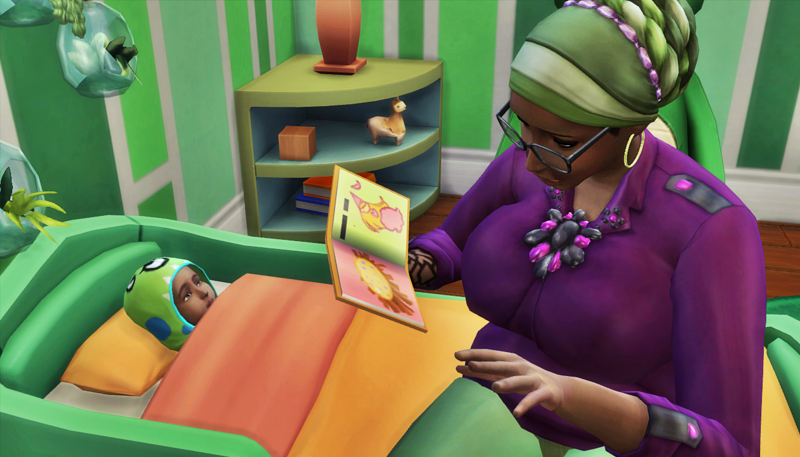 Carmen was happy to be a mother, happy to turn her artist studio into a nursery, and happy to still manage to have a life. It took her a bit of time, but she finally got into the swing of the sorta-single mother thing. She considered herself “sorta-single” because Hugo was over to the house most days. He spent a lot of time with his son. And he spent a lot of time with his son’s mother. Carmen felt that if she said the word, she could get that thing she’d always wanted: a family with a loving and supportive husband. She just wanted to be sure rather than impulsive. So she was always telling Hugo to wait, not to rush, and to just enjoy their moments together. He seemed satisfied with that for now. Carmen was finally coming around to the idea of making things with Hugo more permanent. She’d gone to visit his sister Luna and met her son’s brother (who was being raised as his cousin, just roll with it). Something just clicked. She felt like it was time. She’d never been more inspired when she was painting. She’d finally learned to cook consistently edible food that could even be described as tasty. She and Hugo and Rodrigo were like a little family. It just felt right to her. Carmen was excited for Gavin and Hugo to finally meet each other. Her two favorite men in town were overdue to make their acquaintance. One morning that she and Gavin had off from work, they went to Hugo’s house to surprise him. Gavin wasn’t convinced this was a good idea, but Carmen knew it would be fine. Of course it was not fine. Hugo wasn’t home, and a woman answered the door. She was excited to meet Hugo’s friends. She quickly introduced herself as Imane Villareal, Hugo’s new wife. Carmen felt like such a sucker. Gavin was so sad for Carmen, she always seemed so unlucky in love. He couldn’t understand why she didn’t reveal her relationship with Hugo to Imane, but he figured it was just because she was in shock. Before he could decide what to do next–he was leaning toward trying to get Carmen to leave–Imane shocked them both. She announced she needed to go check on her newborn baby. That was unsurprising since Hugo was so fertile. Her mode of transportation was the surprise. 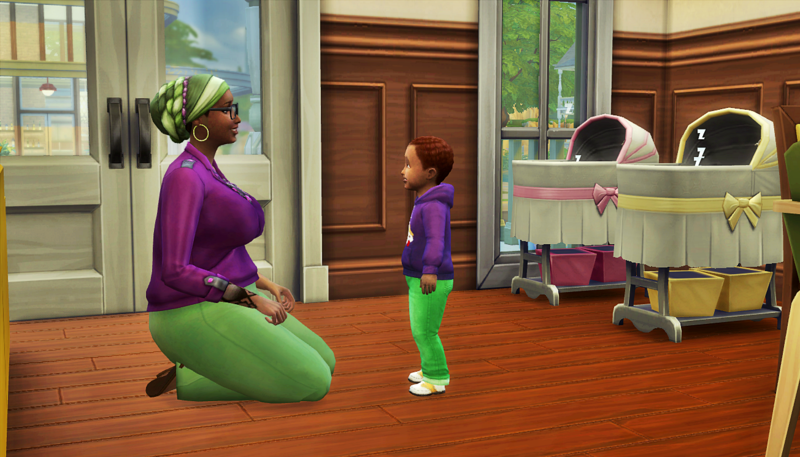 While Imane the Vampire was checking on her daughter, Gavin tried to get Carmen to leave the house. He was scared and worried that things could turn ugly if Imane figured out who Carmen really was. Carmen couldn’t leave without seeing the baby though. She went to go meet little Anya Villareal who looked like she could be Rodrigo’s twin. She had his same skin color, hair color, and eye color. Carmen wasn’t sure how many times she could go meet a new baby who happened to be Rodrigo’s sibling. Carmen wasn’t sure what to do, but she finally decided she should listen to Gavin and just leave. She would deal with Hugo the Liar later. It seemed as if Carmen’s garden understood her current predicament. When she returned home, she saw that all the garlic was finally ready to harvest. If only it happened sooner, then Laurel might already have the garlic wreaths done. She considered that she might need protection from Imane once she realized who Carmen really was. To add insult to injury, she met a random woman while out gardening that afternoon. The woman was not random. She turned out to be the wife of one Dr. Davin Branham, that random man Carmen though she’d hit it off with way back when he first moved to town. She was as beautiful and amazing and her husband claimed her to be. She was happy to meet Carmen because they had a lot of friends in common and her husband spoke highly of Carmen. Carmen realized she had a real pattern of behavior in being drawn to men who weren’t really available. She didn’t know what she could do to fix everything that had gone wrong, but she felt like the positive life changes she made after the debacle with Dr. Branham could give her a template for what to do with this Hugo debacle. Later that night, Hugo and Imane Villareal arrived to her house. Hugo checked on his son, then tried to explain to Carmen. He was feeling really sad about Carmen slow-playing things with him. He ended up hooking up with Imane one random night, and she got pregnant. Not wanting to father a third child that had to grow up in a different home than him, he proposed on a whim. Imane said yes, so Hugo felt like he should marry her. He was going to tell Carmen, but he couldn’t figure out how. 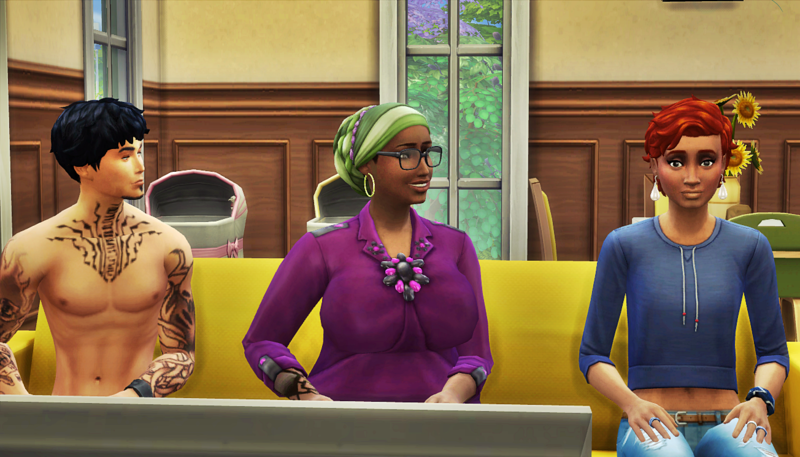 Imane wasn’t okay with what she witnessed between Hugo and Carmen. Hugo never looked at her the way he was looking at Carmen and it made her mad. She was doing everything she could to hold it together. 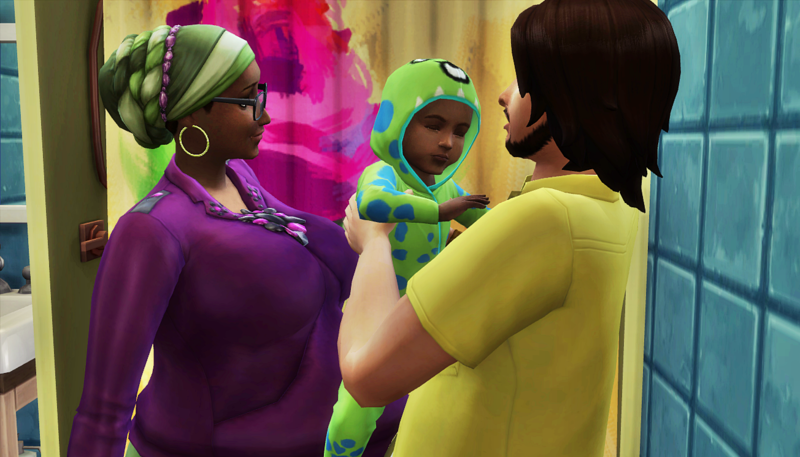 She wanted a family for her daughter and she wasn’t about to let Carmen take it. She pushed her and invited a fight, she wouldn’t give up Hugo lightly. Carmen was not the one for a fight. She knew her son was in the next room. She knew Imane was a vampire and not to be toyed with. And she knew Hugo had proven himself to not be worth it. So she let Imane know she could have him. She walked away, and kindly asked both of them to get the hell out of her house. Carmen felt so conflicted, but she was always a woman who was going to follow her heart first. Typical artist type, amiright? She tried to focus on the important things. Like Rodrigo. He was an amazing toddler, and she was finally making enough money to set his room up properly. He was still getting used to his big boy bed though. Reading him to sleep was the best way to ensure he slept through the night. There were moments when Hugo was there with them, and it almost felt like the three of them were a little family. 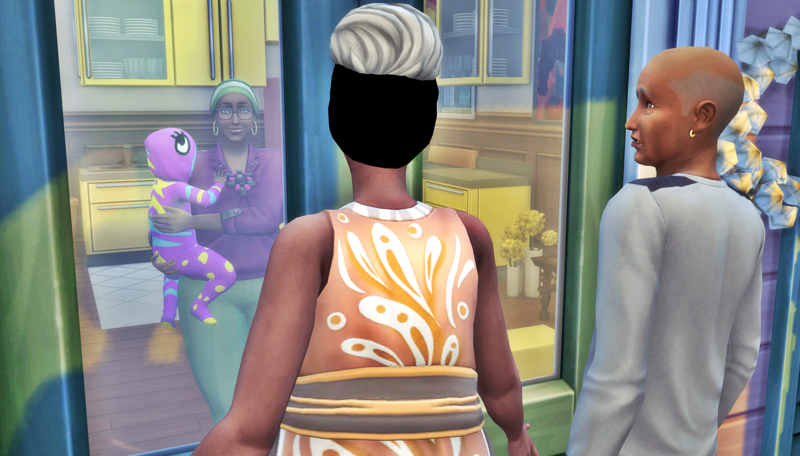 In those moments, Carmen could almost forget that Hugo had a son/nephew being raised in Midnight Hollow and a (probably vampire) daughter with his wife in Oasis Springs. She never quite forgot, but she almost could when she watched him with Rodrigo. Those moments of forgetting led to more reckless behavior. And in true Sims fashion, reckless behavior leads to–I’ll just show you in case you don’t already know. 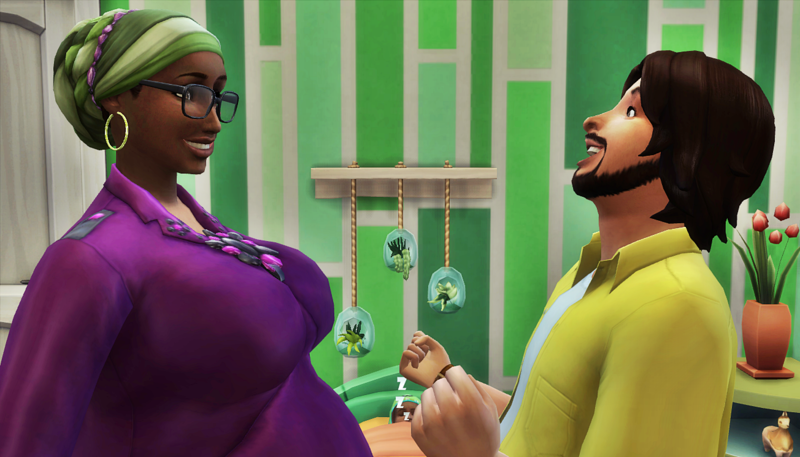 Hugo was happier than a married-to-someone-else Sim should’ve been to hear the news. Carmen found a tiny bit of positive to focus on: her kids at least had the same mother and father. She chose to go the hospital alone for the delivery. She could handle this crazy situation better without Hugo snaking his way into all her memories of important life events. Rodrigo was happy to be a big brother. He spent a lot of time standing near their bassinets, keeping watch over them, particularly when they had visitors. 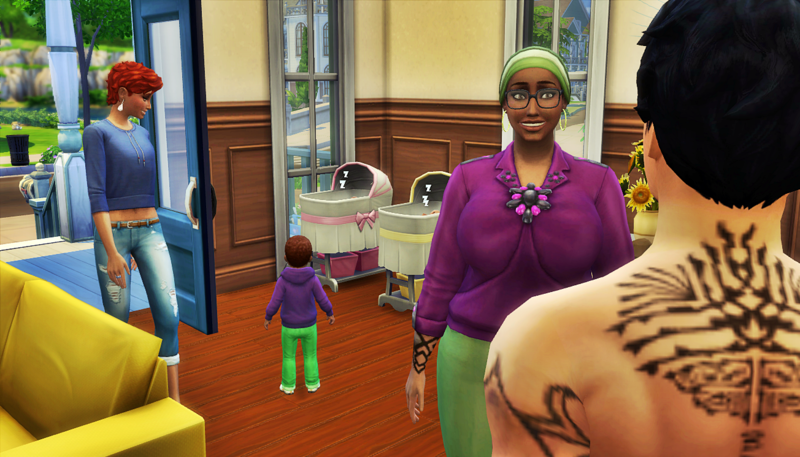 Carmen was relieved when Luca and Liz Holloway stopped by. She was happy for any adult company, even Liz’s. Liz was pregnant, and had a ton of questions about it. Carmen shared some of the same wisdom that Laurel shared with her. Unfortunately, it seemed to damper Liz’s normal cheerfulness. Carmen couldn’t believe no one had ever told Liz that childbirth was painful. 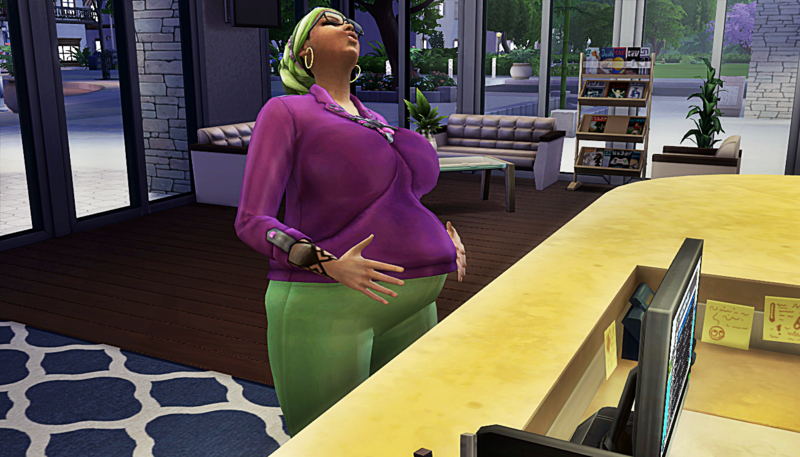 Liz went to the bathroom, as pregnant women often do, leaving Luca alone with Carmen. She discovered the true reason for their visit, Luca had a ton of questions about Hugo and where things had gone wrong between them. She didn’t know why he cared so much, but she filled him in as much as she could. She left out the part about exactly how Hugo ended up the biological father of his nephew. And she declined to give details of just how it worked out that her twin boys were younger than Hugo’s daughter. But Luca got the gist of the story. Carmen figured he was finally trying to make an effort to connect with his club members. Luca’s take on the whole situation was that Carmen’s life would be greatly improved if Hugo’s wife was no longer in the picture. His tone concerned her, but she figured he was just trying to commiserate, and wasn’t very good at it because of his natural gruffness. Carmen finally decided what she needed to do about her situation. She was reeling and could think of only one thing to curb her impulsiveness. She called her parents. Hey guys, we’re all caught up on the Butler household! Carmen has so few chapters, it’s easy to forget that so much happened with her. Like so much. MCCC messed with her more than any of my other Sims. Here’s hoping her story calms down a bit when we start Round 10! Gosh, Carmen ! What a story ! I love all the interconnections and complications . This game is great for rotations . Carmen has been through so much. I’m hoping going forward MCCC targets someone else for all the drama, lol.